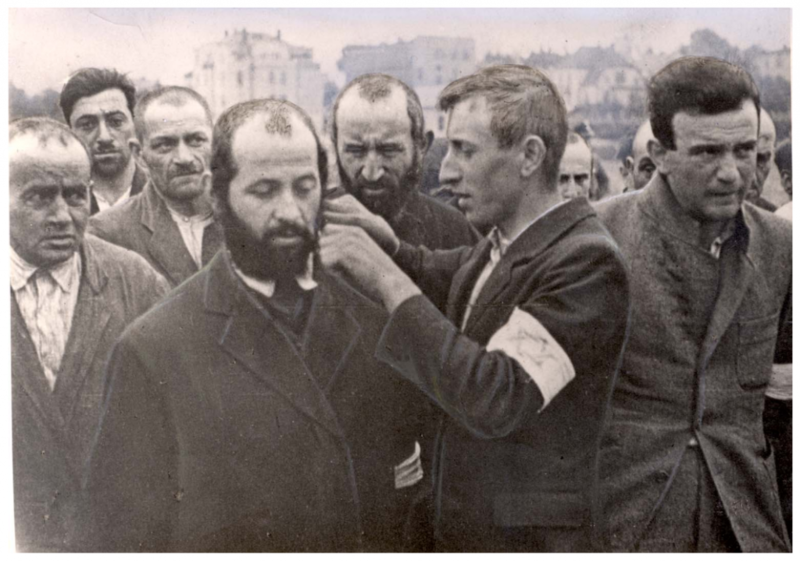 Zelinger (with a band) forced by Germans to cut the beard of Abraham Apelstein (shechita). On the left is Rajtgrund. More on history of the picture can be found here (pdf, only in polish).